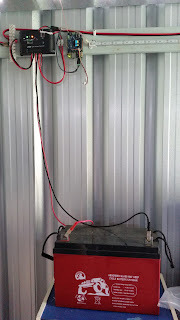 I have been running my UDOO Neo solar powered in my shed for a while. I have been meaning to attach some bitcoin miners to it, just to support the network, since I am too far behind the curve with hardware to make any money off it. From what I read, the mining farms have taken over a whole hydroelectric dam somewhere in China. Anyway I finally got around to attaching the I2C bricks sensors that came with my UDOO Neo kit. There is an LM75 based temperature sensor and an MPL3115 based pressure/temperature sensor which can used an altimeter/barometer. 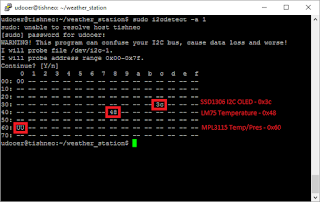 These 2 sensors can be used to get some basic parameters for upload to Weather Underground or simply Thingspeak. The first set is grabbing the data from the sensors. 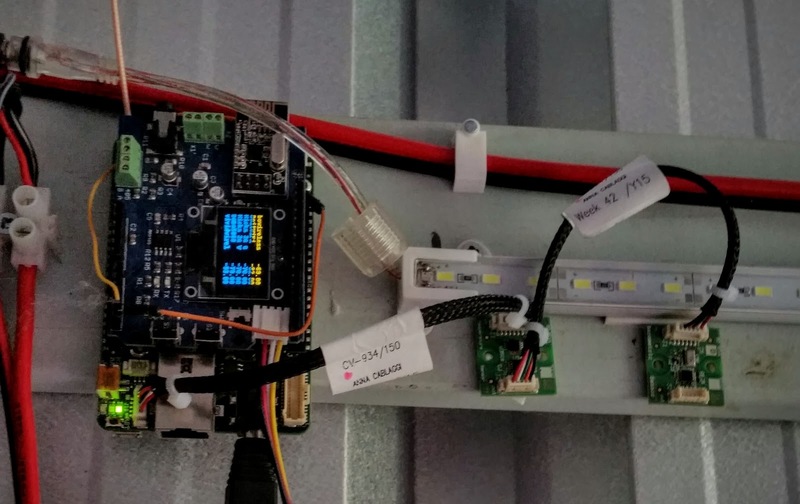 The UDOO comes with modules to map the i2c devices to the linux device tree and fetch data from them by simple file reads, no I2C knowledge needed. I also found Tentacle Pi which is essentially an I2C multiple device driver library for Python. In my solution I ended up using a hybrid approach of direct i2c reads using Tentacle Pi and some /sys/ reads. 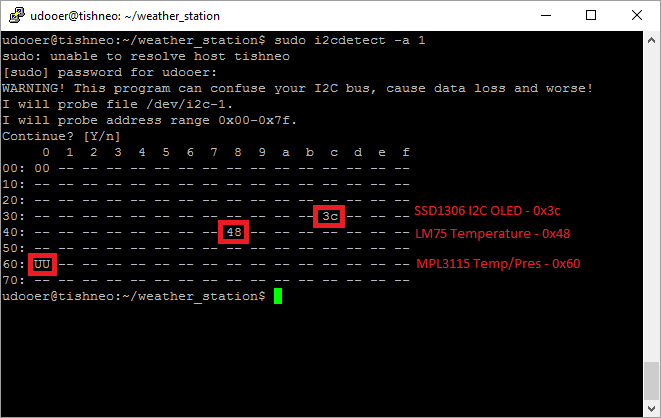 There is a few degrees of discrepancy between the 2 temperature readings, however I trust the temperature from the dedicated temperature sensor more. A simple test to show the data on console works fine. From there it is a matter of pushing it out to Thingspeak to get a graph. I am looking at adding other sensors from the future bricks line or designing some myself using my I2C knowledge, particularly a wind speed sensor and a light sensor. 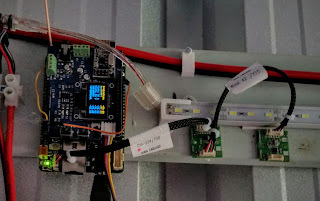 The wind speed will help me determine if I can install a mini windmill generator and I can use the light data to correlate my solar panel output to solar intensity.